student faculty research – Gretchen Kreahling McKay, Ph.D. But I was transfixed by the students who were there to help faculty members, who, like me, had not prepared an iota of material for the games we were to play in condensed form over the four-day conference. Those students made me realize that Reacting was a powerful pedagogy that could change my own students' learning in profound ways. Flash ahead to me a semester or two later, walking across campus one day. I realized that there was a game I could use in every art history class that I teach at my liberal arts college, with the exception of my nineteenth-century art class. And, as the saying goes about necessity being the mother of invention, my next thought was, "Well, I guess I will just have to write a game." The game begins in the 1888 Salon, when the characters defend or decry the selection of Detaille's painting The Dream as the recipient of the Medal of Honor in the Salon. That day, and the subsequent days, students in character debate the current state of art (as indicated by the art in the 1888 Salon) and the future of art that they all have a hand in shaping. 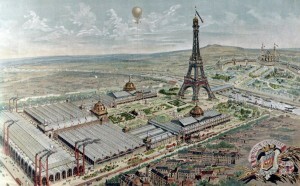 The last day of the game is a recreation of the 1889 World Exposition in Paris, for which the Eiffel Tower was built. All of the artists are required to "show art" that they hope will sell. However, only "secret buyers," who are recruited by me in a large crowd that I invite to the Exposition, can actually buy anything with a special "certificate of sale." The buyers must remain secret to try to achieve some sense of how art buying works: no one knows who in a large crowd might actually buy a painting. Students playing artists, critics, and dealers must try to steer all of the visitors to the art for which they advocate, in hopes of making a sale. I first ran the game in 2009. 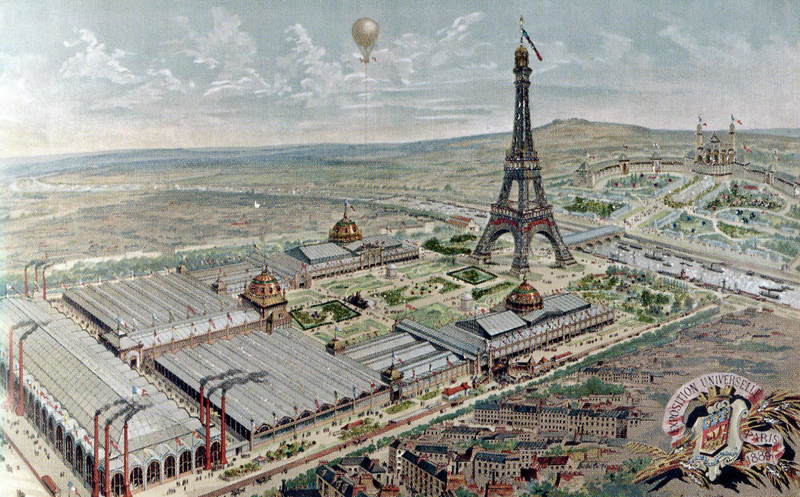 In addition to Admissions staff and other administrators and faculty colleagues, I invited several individuals from our Communications and Marketing division to come to the 1889 World Exposition. That led to this story about the first run of the Art in Paris game. I still keep in touch with the "first Bouguereau," (seen in pictures that accompany this story with the bow tie and pink shirt). He was the most bohemian student I have ever had the privilege to teach and he still remembers the game after graduating . He was happy to play an artist against his "type;" he told me he felt he learned more by doing so. Modernism vs. Traditionalism: Art in Paris, 1888-89 has been used at well over thirty different institutions, including different countries. 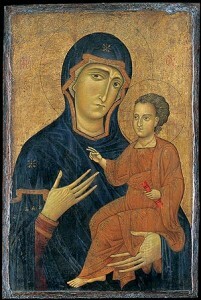 Others have written about their experiences with it on the Art History Teaching Resources site, such as this post by Keri Watson. The creation of this game has been one of the most satisfying scholarly projects of my career. The publication process for writing a Reacting game is extensive and includes two levels: play-tests at conferences and peer-review by those in the field and by those with game design experience. Art in Paris debuted at Reacting's annual Institute in 2010, and will be played again at this year's annual Institute as well (June 9-12, 2016). A number of other art history games are being created in the wake of Art in Paris, by my colleagues Mary Beth Looney (The American Artists' Congress: 1935-1939), Marie Gasper-Helvat (1863 Salon des refusés and Guerrilla Girls in our Midst: 1984-1987), Paula Lazrus (Il Duomo di Santa Maria del Fiori: Florence, 1418), Carol Brash (Photography: Art, Science, Document? ), as well as Rebecca Livingstone, Kelly McFall, and Abby Perkiss, who have together created Memory and Monument Building: The Vietnam Veterans Memorial, 1980-1982.